Ever get wrinkles or bulges/dips in your surfaces, or strange edge anomalies when trying to make a Loft/Boundary? 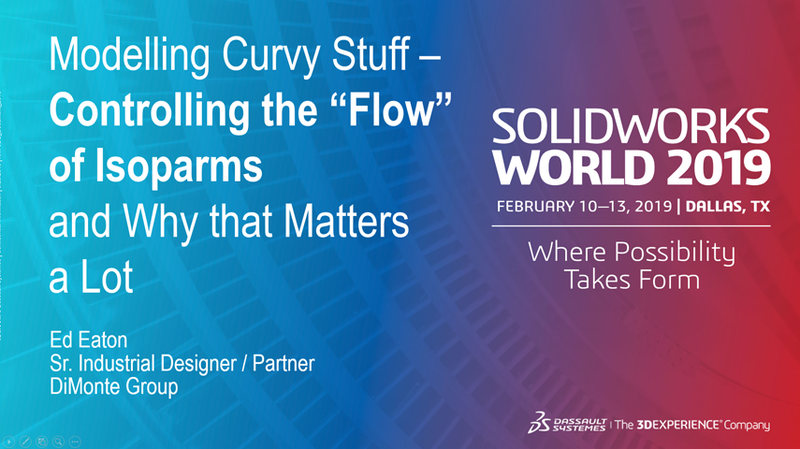 You need the tips and tricks in this session for controlling the “flow” of isoparms, the matrix created between the edges and curves of a Loft/Boundary that define the faces of your product. This session covers: What are isoparms (also called UV lines). How to see what direction they are flowing (unlike curves and edges, they are by default hidden from the user). Why they matter. What you really want them to look like to make great surfaces. And how to control them. I met Gene some years ago at a SolidWorks convention, and we have since collaborated on several projects. Gene is a great guy, extremely reliable and principled, with a broad knowledge and an excellent team. I have no hesitation recommending him and his company to anyone needing assistance with product development and getting the product to market as smoothly as possible.